Year: 1957 Item #: 387 Views: 4,785 Comments: No Comments. 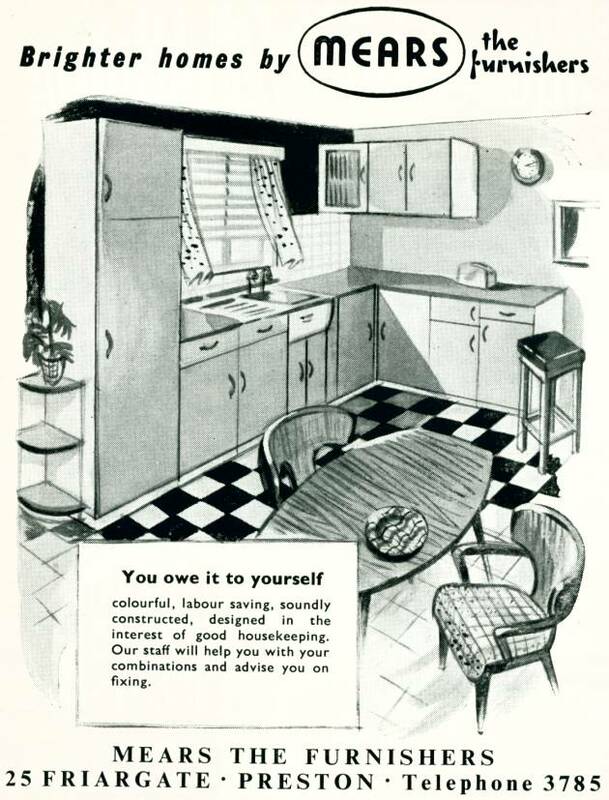 Brighter homes by Mears the Furnishers - You owe it to yourself, colourful, designed in the interest of good housekeeping. Our staff will help you with your combinations and advise you on fixing.